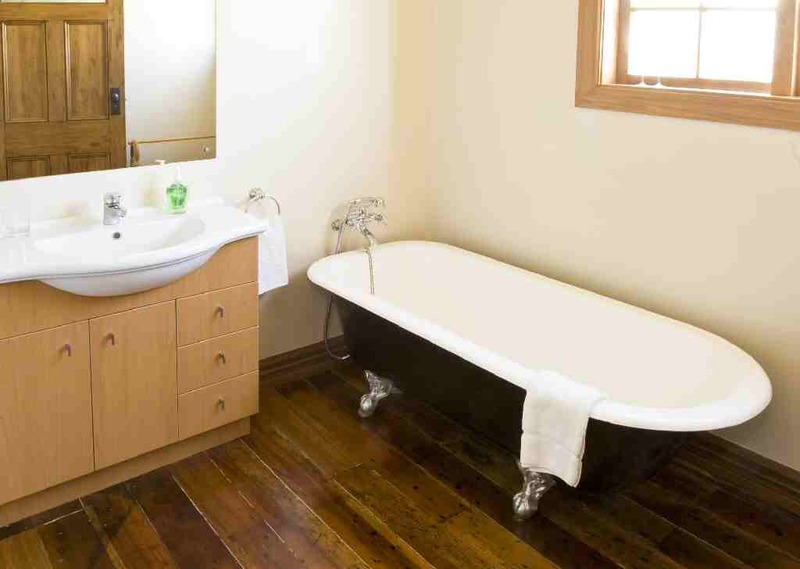 Martinborough accommodation was enhanced when Todd's Cottage built in circa 1905 was lovingly restored in 2001. 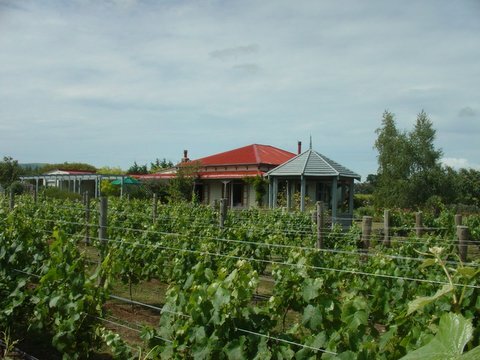 Surrounded by its own vines Todd's Cottage is also in the centre of the Martinborough wine growing terraces and shares a boundary with a large vineyard. Across the road is Stonecutter vineyard and less than 100 metres down the road is Alana Estate where you can enjoy a sumptuous lunch in their brand new café. 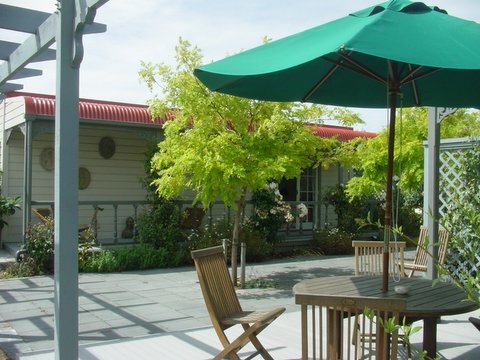 You can stroll to 1/2 a dozen top Martinborough vineyards easily. Be sure to try the Martinborough Pinot Noirs which are considered to be some of the best in New Zealand. The restoration of Todd's Cottage has enhanced the lovely original timbers and concentrated on the original feel of the building. 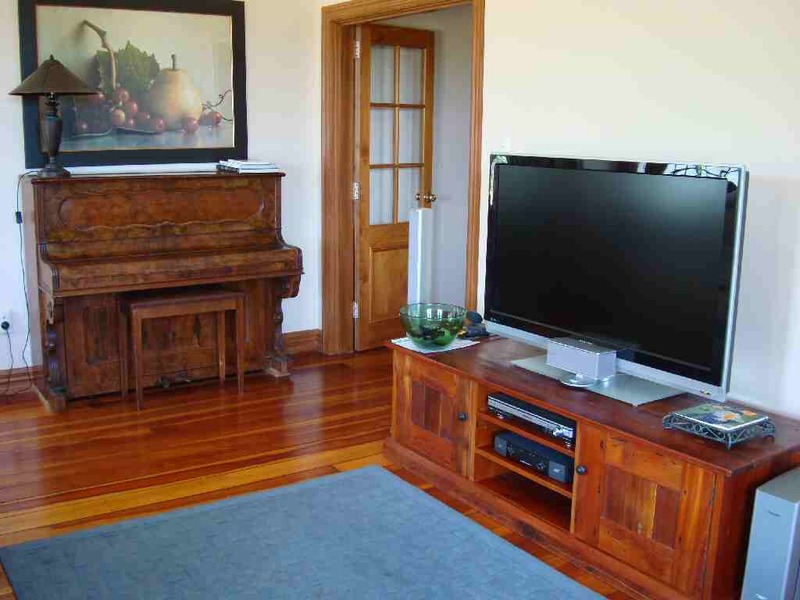 Modern appliances are incorporated into the well equipped kitchen and a breakfast table is to one end of the kitchen while a formal dining table is at the other end. A separate lounge is at the front of the cottage. 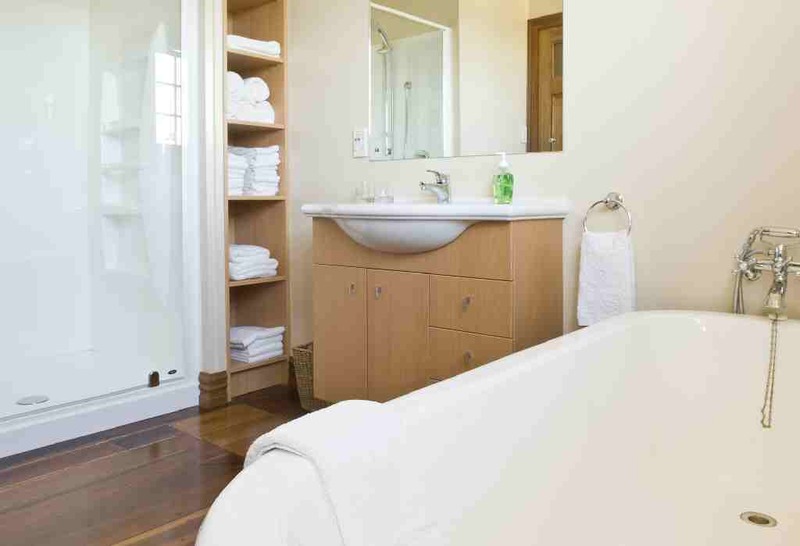 You will find Extra Virgin Olive oils, pepper grinders, coffee plunger with freshly ground L'Affare coffee, Twinings teas and an extensive range of kitchen utensils to add that special touch to your stay. Also a large range of glassware to suit exactly your choice of wine or cocktail and a full range of cookware. The beds are fully prepared with top quality bed linen and lots of sumptuous pillows. 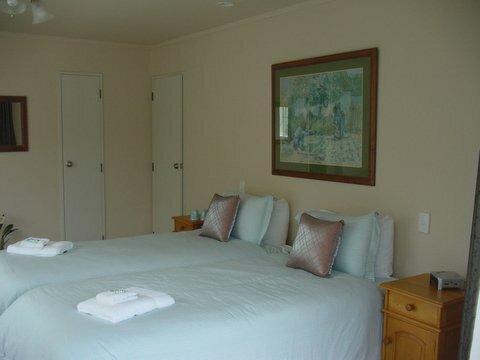 Each bedroom has double opening doors onto the verandah including the sleep outs. Your comfort and enjoyment are assured. Outdoor furniture includes tables and chairs and a gas BBQ. Lovely evenings can be spent enjoying the outdoors. The rear courtyard is a delightful spot to enjoy the outdoors. 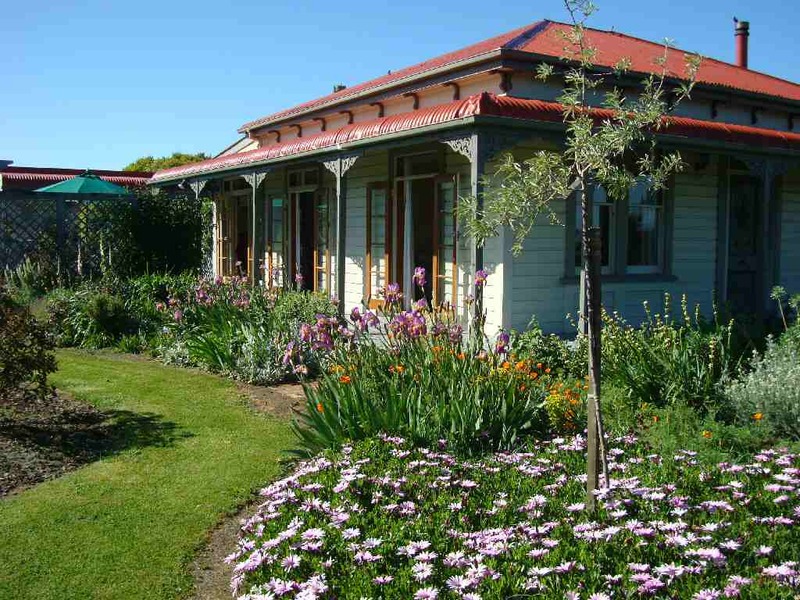 The Martinborough village centre is only 1.6 km's away and there you will find 2 hotels and a selection of restaurants, cafes and shops. Diners will find everything from breakfast through to a la carte dinners of the highest standard and of course the local wines are plentiful. Annual attractions are the Martinborough Fair which is held on the first Saturday of February and March of each year. The fairs are huge in both the number of exhibitors and the visitors that attend each year. The Martinborough Wine and Food Festival ( Toast Martinborough ) is also very popular and is held on the third Sunday of November each year. TK Day (shortened from Te Kairanga day) is also popular and is held each year in January. The Martinborough Golf Course is a 5 minute stroll away and the 18 hole facility is well manicured and a most enjoyable venue. There are varied walking tracks nearby with some spectacular views over the countryside. Walk among the farmer's animals in a lot of cases. 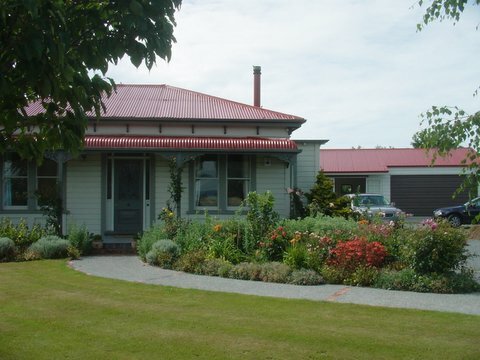 A drive to Lake Ferry is recommended particularly if you are a whitebait fan as the Lake Ferry Hotel usually always offers locally caught whitebait on the menu. Another separate sleep out with 4 single beds or two singles and a super king size bed and ensuite.